Can anyone help find a Bluetooth Headset that support for a Samsung Galaxy S3 and Windows 7? Thanks for your quick reply. This is for one of my friends. I will let him know and come back to you if it works for him. Hi. I am using sony xav70bt 2din player in my car. The problem with this is while using as a BT phone, to make voice calls, after disconnecting call it hangs. It shows incoming call / with held messages on screen and a call dial animation though call is already disconnected in phone. Any solution for this. Device works properly with my non android mobile. Also, if call disconnects without answering there is no issues. I have a new 809T smartphone. When tapping the handsfree tag on the phone in order to enter the handsfree menu, there is no menu. The smartphone connects correctly to my laptop and when tapping the laptop tag I get a menu from which I can can cancel the connection. I there any fix to this problem? How do I reset my bluetooth? My old phone ino linger operational. It will not even turn on. I got a new phone but I cannot pair it to my Bluetooth because it is still paired to my old phone. Is there a way to clear or rest my Bluetooth without being able to even turn my old phone on. Help! 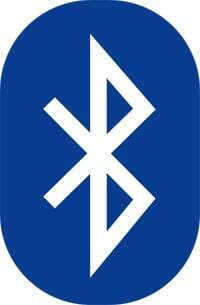 All bluetooth devices have some sort of reset button that will “unpair” them. Check your user manual to find out where it is for your device. If you don’t still have the user manual, you can probably find it online with a Google search. I have aligned my recently purchased iphone to my BMW bluetooth. However all the numbers on the BMW screen have the word “mobile” in brackets and the voice instruction does not recognise my voice command - in fact answers in German when it is programmed to be English. Help!! I have a new smartphone Linux LG and a new Ford escape SE 2014. The bluetooth is turned on but when trying to pair the two it says “no phone found”. I have tried everything possible that I know of. Any suggestions? I have a GPS DVD in dash unit on my car that has Bluetooth function. I have a Galaxy S4 and when I pair it with my car unit the Bluetooth connection is fine. When I receive or make a phone call using this way, I can listen to the person that is speaking with me very well, but that person can’t hear me at all. I want to know what it is really happening and how to fix this issue, if somebody can help me I would appreciate a lot. The unit in my car has a built-in microphone. I know that my phone is good because I do the same Bluetooth at another car that has similar unit and there is no problem. I have had a Logitech K810 Bluetooth keyboard for awhile and it worked fine. Lately I have been unable to pair it with my laptop (Dell Vostro running Win7 64 bit). Sometimes it recognizes it and gives m a pairing code. It says it is connected but the icon is gray and cannot type. When I retried (several times) I don’t get a paring code, just failure message. I bought a Microsoft Wedge and same problem. Initially it worked and now, nothing. No pairing code, just a failure message. Any thoughts? First, see if there is an updated BT driver from Dell that you can download and install. If not, try reinstalling your current BT driver, some people have said that helped fix their issue. You may need to shut down the BT processes (bttray and btstackserver)first. If neither of those work, some Dell owners have had success installing an alternate BT driver from Dell (i.e., for another model). Hope that helps you out! Maybe try putting in a little usb dongle (from an bluetooth mouse?) the computer should install the drivers by himself. I have a Samsung Trend and have had it connected via bluetooth in my car for over a month with no problems. For no apparent reason, the vehicle couldn’t find the phone. I removed the phone from paired devices in the vehicle and tried to pair them. The Vehicle then detected the phone and I was given the option code to input to the phone but the phone keeps giving me the error message that it cannót pair with the vehicle. I have tried pairing the phone to my husbands car and it worked fine. Any suggestions?? Someone suggested that I may have erroneously instructed the phone to forget the vehicle pairing but I can’t find a remedy for this either. for the past months i always play my favorite songs to my sony component trough my laptop via bluetooth and having no problem with it, but now it play anymore even if it already paired, but my other gadgets like cellphones can still play, only my laptop now is not able.. please give me some advise to adress my problem.. thank you and God bless.. I have tried multiple mobile phones and all pair with my Nissan CONNECT car system for handsfree calls and Contact list access. These include Apple iPhone and Andriod phones from Lenovo, LG and even some China- and India-made no-name branded ones. But my two Samsungs do not. One is a Galaxy Y (witb a QWERTY keyboard - just like a Blackberry! ), and the other a Galaxy Tab. Both are Android. Nissan, of course, say it’s not their ICE unit issue (and I tend to agree with them). Anyone from Samsung reading this blog who might have a solution? Or is the solution “Don’t ever buy Samsung mobile phones”! Nissan still had no response to my problem, so I decided to think “Inside” The Box, Japanese car, Japanese phone? Got myself a Sony 6” Xperia T2 Ultra Dual SIM. Worked from first go, not a single hiccup since. Been 5 weeks now. Contact lists when added on my PC via Google Contacts appear on the car display with no drama. That was a clever idea, but shame you should have to resort to that to get things working. Well it’s documented here and it means Samsung and Nissan both will pay a price in sales, I’m sure! my zte phone can find/pair/connect with lg tone pro 760 headphones, but can not even find my lg tone pro 800’s. lg and zte have no solution. any help? my moto e phone connects with both, no problems. zte phone finds every other bt around, but not lg 800’s. 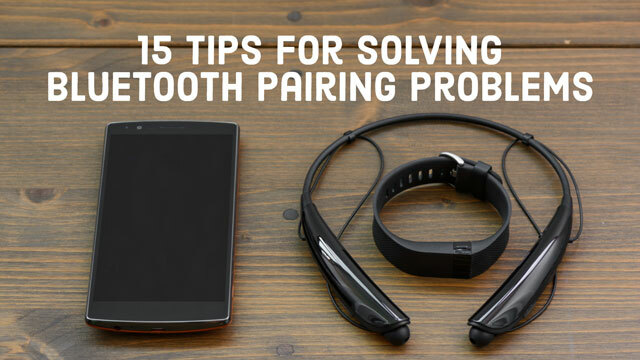 The tips in this article are useful for general pairing problems, although I found something more comprehensive over at http://www.bluetoothdoctor.com. This is worth a look if you have connection problems, it helped me. I have two devices that I would like to communicate together but neither device has an interface to pair to the other. Is there anyway of pairing two devices without physically selecting the other device on one of the devices screens or interfaces? I had an older Motorola Gleam which paired and worked fine but this one looks like it’s paired but it doesnt connect to the car. I’ve tried unpairing and starting again but it still doesn’t work - any ideas how I can fix the issue? The most common Bluetooth passkeys are 0000 and 1234. If neither of these work, you’ll need to consult the manual of the device you’re trying to pair with your ZTE Valet phone. Hope this works! Cannot get my Everlast EV 6816 model Wireless HeadPhones to pair up with my Metro PCS ZTE Zmax 970 cellphone :0( Help PlZ! Where do I put in the PIN/passkey? rest samsung tablet, now it wont find my bt speaker! i factory reset my tablet and now it wont find my bluetooth speaker to pair! Ugh! It found it briefly but when i went to pair it it said wrong password?? So when i turned it back off it wont even find it now! Ans im pretty computer illiterate so i will need like a step by step please! Like to tell me to just re pair it will do me absolutely no good. I have no idea how to do that. Thanks everybody for any help you can give. Did you try resetting your bluetooth speaker and then trying to pair? What model speaker is it? It’s hard to give instructions for resetting your specific speaker, as each model is different. Often there is a small reset button on the device. If you can’t find it, JBL ‘s technical support number: 1-800-336-4525. The UE Boom has a microphone built in so you can take calls as well as listen to music. So when the UE Boom pairs with your laptop (or smartphone or tablet), it pairs using the Bluetooth headset profile so it can be used as a speakerphone as well as a speaker. Bluetooth will not connect to anything. Bluetooth is “ON”. Searches constantly. Under Devices window it says “Now Discoverable” It uses iOS 6.1.3 (10B329). I have a second phone next to it and it connects to my PC as this one should. HELP! First, can I assume that you’ve turn Bluetooth off on your second phone when trying to connect your 4S to your PC? If not, do that first. If you have done that, I need to know the type of computer you’re trying to connect it to and, what type of phone have you successfully connected to your computer. Thank You for your response. I have the 2nd phone Bluetooth turned off. The computer I am using is an Lenovo Model B320 Idea Center. The Phone I did connect is a ZTE 665 TracFone. The iPHone is not connected to TracFone. Looking forward to your next response. Did you try pairing from the PC instead of your iPhone? I checked out pairing my iPhone 6 with my Lenovo Horizon and the Horizon doesn’t show up on my phone. However, when I go to the Windows 8 Bluetooth setup (not the Desktop version, but the Windows 8 version), I see my iPhone for pairing with my computer. Hi, well I’ve spent all day at this and found a solution that may work for many people. I went to settings, applications and clicked on every application and selected “FORCE STOP”, yes every one and ignoring the warnings. Then, my keyboard paired as you would expect. I tested many times and each time I switch the keyboard on it connects automatically. It may work for you! My logic was that something may be blocking the bluetooth channel. Hope this helps someone else as all my searches were basically saying you’ve no chance without installing the mods. Thank you so much! I bought a bluetooth keyboard case for my Samsung Galaxy Tab 4, every time I turned it on it would say it was connected to bluetooth keyboard. All indicators said it was connected but the keyboard failed to work. I tried everything! I Googled and found your page, and tried turning it to Airplane mode and back off again. Works everytime! hi im using window 8.1 laptop.i unable to share somethings from my android mobile.but before it was worked.now i unable to add a device.i dont know whatz probs is this.say some solution please sir. Music will not play though blue tooth portable speaker from tablet. My Dear Sister got me a Sony Smart Mini-Musicbox SRS-BTV5 for christmas but it won’t connect to my iPhone 4. 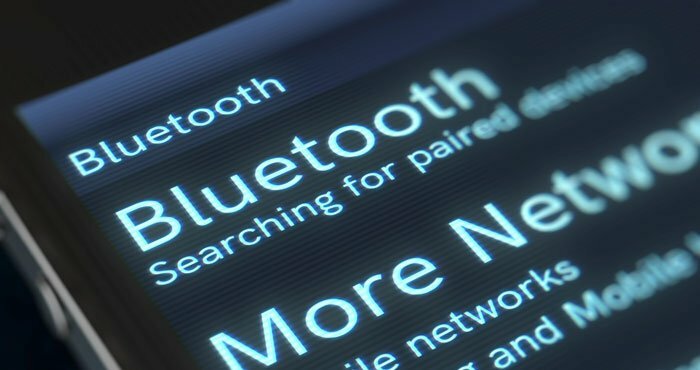 Bluetooth is activated on both devices but my phone is not even able to find it, it just keeps on searching for hours. Please Help! My Samsung tablet was"blocking” my iPhone, which would not pair with my Jam Party speaker. Same problem with iPhone and iPad. When i shut down my IPhone it paired right away with my Ipad. Trying to pair a nexus 5 with an iPhone 5s. Nexus is finding iPhone and giving a code. When tryinging to pair says incorrect code. Also iPhone cannot find nexus. Bluetooth and visibility are turned on. Any ideas please?